Eight women — four from the Twin Cities and four from Cleveland — flew halfway around the world this summer to build a hopeful future for vulnerable children. 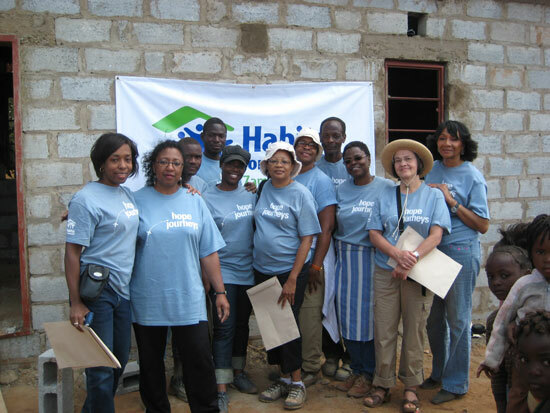 Habitat for Humanity International Mission is working in Lusaka, Zambia, in Southern Africa, and putting together a program to assist children and their caretakers. Many of these children are affected by HIV/AIDS; they may have it or have lost parents and family to the disease. The four volunteer builders from Cleveland have backgrounds in city planning and medical care; the four from the Twin Cities have backgrounds ranging from architecture and economics to city planning. Aurora/St. Anthony Neighborhood Development Corp. employee Marilyn Porter and Bonita Martin were part of the Twin Cities team. During the day these women worked on building a three-bedroom home for a family of eight, that replaced their former windowless, two-bedroom home. While working alongside the local contractors, lifting blocks and digging holes, these women drew a lot of attention from local villagers, as well as some of Lusaka’s own city planners, including the Minister of Land, While in Zambia, they were even able to meet with First Lady Thandiwe Banda for an hour. “The First Lady was on our schedule at first, but then our meeting with her was canceled because something else came up; however, when she found out we were a team of eight women of color who had come to help her people, that changed,” said Martin. Once the house was finished, the entire village had a celebration with singing and dancing, and the women gladly joined in as they were invited to be a part of everything. Martin described the celebration in a humbled way, how the home injected the entire village with joy for the family who had received this new home. “That is something I will never forget!” said Porter. Porter, being the architect of the group, was watching the women in the village cook the food on small, single grills. Porter took some of the left-over building blocks and, after a run to the hardware store to get some old refrigerator shelves, designed a larger open fire grill for the family. The family was so excited about their new grill that they insisted that it be set out where anyone in the village could use it to cook. Rondo’s Coffee Café is the name of the new coffee shop that will be making its home in on the first floor of the Frogtown Square project at University and Dale in St. Paul. The idea of having a coffee shop at this busy corner came from two women who grew up in the neighborhood and now work with Aurora/St. Anthony Neighborhood Development Corporation. Executive Director Nieeta Presley and Board Chair Leetta Douglas also share something else in common: They both love their coffee. Both women are also highly passionate about their neighborhood and don’t want the history of Rondo to be forgotten. In that hope they are planning to develop the coffee shop as a history lesson for visitors and walk down memory lane for locals. With few coffee shops in the area, the vision of one that the locals can call their own, and a gathering place for the seniors taking up residence in Frogtown Square, seems to make sense. Helping Presley and Douglas get the shop up and running is Golden Thyme’s owner, Mychael Wright. Golden Thyme is a coffee shop and neighborhood gathering place on Selby Avenue. Wright has the experience and connections they are looking for to get it off the ground. The women are also looking forward to creating a few more jobs in the neighborhood. Frogtown Square is a mixed-use development, combining commercial and residential spaces for seniors. Greater Frogtown CDC, Model Cities, Neighborhood Development Center and Aurora/Saint Anthony Neighborhood Development Corporation have partnered on the project. The work at this important intersection, including the adjacent Rondo Community Library, has been funded in part by Twin Cities Local Initiatives Support Corporation, which has made a two-decade commitment to the neighborhood. Fundraising has started for the inside décor for Rondo’s Coffee Café, with the dream of this being a place people come to either learn about Rondo or remember Rondo. That’s where the organizers need your help. You can name a coffee, decorate a table with old photos, or have photos mounted on the 14-foot walls. The displays will tell the story of how Rondo used to be and bring back sweet memories to those who gather there over a cup of coffee and to reminisce. “This will be a community coffee shop, and we are working to build community ownership of it,” Presley said. To find out more about how to get involved with this project, check out Aurora/St. Anthony Neighborhood Development Corporation’s website, or call 651-222-0399, ext. 100. Community elder, Ms. Bertha Givins, and Dan Kravetz, who came up with the idea for Summer of Peace two years ago. For the third straight year, the Aurora/St. Anthony Neighborhood Development Corporation, partnering with the Summit-University Planning Council and District 7 Planning Council, co-hosted The Summer of Peace celebration, a series of events that was the brain child of former ASANDC staffer Dan Kravetz. This “traveling block party” with events happening each Thursday, provided an opportunity for neighbors to get to know each other and participate in activities benefitting the entire community. Thursday events included clean-up efforts, community gardening, live entertainment, cook-outs and the general spreading of goodwill and summer cheer. We spoke with Irna Landrum, Executive Director of the Summit-University Planning Council, who shared some highlights from the Summer of Peace. How did it go? It seemed like there was such a good feel to the events. It definitely was a success, bigger than what we had done before, a bit overwhelming, but it went very well. We tried to do it a little differently, in the past it was more about getting out, seeing people and giving them information — more of a here’s where you go, here’s what you do, the food is over there kind of thing. We wanted it to be more interactive and thought it would be more successful if people could contribute and be engaged. What were some of your favorite events? The kickoff event was phenomenal. It was held on a vacant lot on Victoria and Concordia that had an interesting story: On that corner was a really dilapidated home. The neighbors wanted to buy and rehab it but that didn’t work out and the home was demolished. But they were able to buy the lot and wanted it to be an asset to the community. So we held the kickoff event there and did a peace pole planting and worked with a landscape designer, neighbors brought seeds and plantlings and we did a small vegetable garden right in the middle of the lot. Police officers, political candidates from the district, and lots and lots of neighbors came out to the party. It was just so awesome. The owners wanted everyone involved and asked for ideas about what could be done with the lot — they made a list: What I like to see is… and people voted. Also, we had a block party on Fuller Avenue at Chatsworth and Milton. We work with a group called Hearts and Hammers who help elderly and disabled homeowners rehab their houses. At that point Hearts and Hammers had done five houses on that block — now it’s up to seven. How rewarding to see all that progress in one place. It really was. And there was one event that just SWELLED. It started with an idea — our community organizer met this neighbor who drums, he plays the bongos and congas, and she asked if he would lead a drum circle. He said sure and then spread the word to his friends. It turned into multiple drummers, a stage and sound systems, it became a little block concert. It was a bit overwhelming, but all the neighbors had so much fun. And the original neighbor said he needed some work done on his house, and I handed him a Hearts and Hammers brochure and they ended up doing work on his house. It all fits together. What do you see for the future? I mean after you rest up from this! There are three community gardens all along Victoria Street in several different neighborhoods. We want to see what kind of community identity we can build along Victoria. It seems like some of the physical barriers are really big psychological barriers — the neighborhoods are very different, but it will be good to focus on what we have in common. I’d like to invite you to an upcoming visit to Saint Paul by Brian Coleman from the Greenpoint Manufacturing and Design Center in Brooklyn, NY. He will be coming to share his experiences and insights on providing space for small manufacturing enterprises, artisans, and artists. GMDC currently owns and manages five rehabilitated properties occupied by more than 100 businesses that employ more than 500 people. There will be two events on Thursday, November 4, that are open to the public — one a working lunch and the other an evening session. University United, Public Art Saint Paul, the Saint Paul Port Authority, the Asian Economic Development Association, and the Midway Chamber, and I have put up funds that will be matched by the Central Corridor Funders Collaborative to make this visit possible. The topic to be discussed dovetails with the current efforts of the West Midway Study and Creative Enterprise Zone Study (University and Raymond area), as well as larger city-wide economic development conversations. If you plan to attend the evening session on November 4, please go here for more information and to RSVP. Thank you for your interest, and I look forward to this upcoming opportunity for dialogue about the Greenpoint model and similar possibilities for our local economy. I hope you can join us. You’re invited to the Homes for All 2010 policy conference to affirm the belief that all Minnesotans deserve a safe, affordable place to call home; connect resources and stakeholders; and create sustainable communities. Homes for All 2010 features vision-setting keynote and plenary sessions, dynamic workshop sessions, and a special Governor’s Reception inviting the new Governor-elect to give his first major policy address. Mobilize housing and community leaders to influence the new Governor to pursue policies that will support a vibrant and diverse Minnesota where everyone can afford to live. Explore fundamental connections between housing and healthy lifestyles, school success, jobs and economic development, financial stability, transportation, and the environment. Demonstrate how Minnesota can learn and gain from new federal initiatives that integrate the activities of diverse agencies to more holistically create sustainable communities. Homes for All 2010 builds on the success and momentum of the past two conventions, held in 2002 and 2006 respectively. By bringing together Minnesota’s business community, faith communities, government agencies, nonprofits, philanthropic community, elected officials, and concerned citizens, Minnesotans can take action on solutions that will achieve homes for all throughout the state. Register online (get the Early-bird rate) and view a detailed conference agenda. Don’t delay—prices increase on Oct. 9. (Registration Fee: $50 on or before Oct. 8; $65 after) Please note: Limited scholarships are available. Click here for more information. Homes for All 2010 is co-hosted by Minnesota Housing Partnership and Twin Cities Habitat for Humanity, and supported by a strong network of housing and community building organizations throughout Minnesota. HIRE Minnesota is composed of a diverse cross-section of organizations: workforce development, social justice, the environment, economic development, faith-based, family services, cultural community, political research and advocacy. HIRE represents 70 organizations and more than 2,000 Twin Cities residents who’ve signed up to support its mission. Ensuring that the Minnesota Department of Transportation (MnDOT) meets its hiring goals for people of color and women in the metro area. 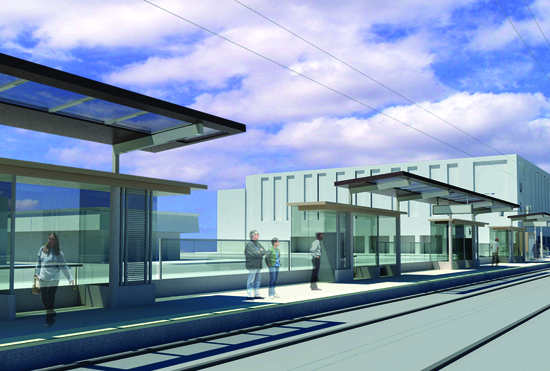 Ensuring that the Met Council’s hiring goals for people of color and women are met on the Central Corridor Light Rail Transit (CCLRT) development. Advocating for a jobs bill in the 2011 state legislative session, and ensuring that hiring equity and green jobs language are included. Forming a Green Jobs Roundtable to explore the landscape of existing green jobs and emerging renewable energy opportunities, meeting with state agencies in charge of public investments, and developing a platform.